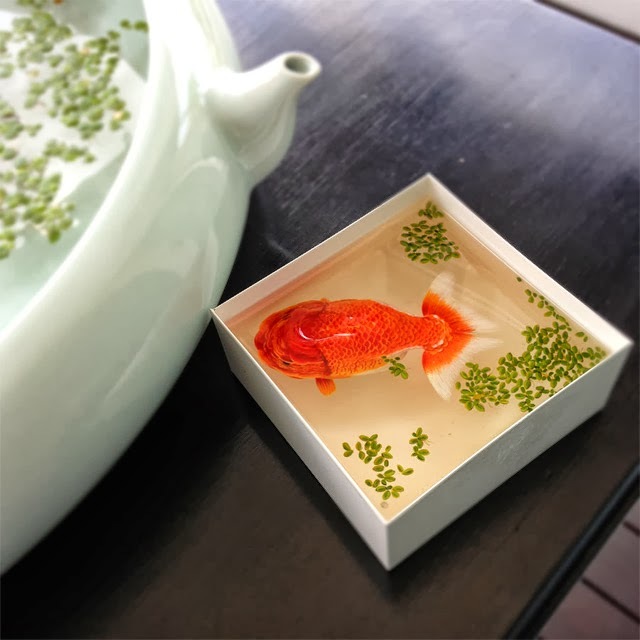 Singapore-based artist Keng Lye creates near life-like sculptures of animals relying on little but paint, resin and a phenomenal sense of perspective. 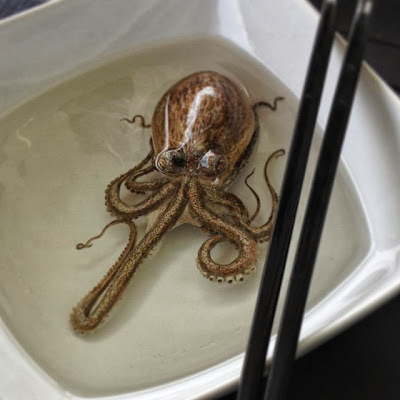 Lye slowly fills bowls, buckets, and boxes with alternating layers of acrylic paint and resin, creating aquatic animal life that looks so real it could almost pass for a photograph. The artist is using a technique very similar to Japanese painter Riusuke Fukahori who was featured on this blog a little over a year ago, though Lye seems to take things a step further by making his paint creations protrude from the surface, adding another level of dimension to a remarkable medium. See much more of this series titled Alive Without Breath over on deviantART. Update I have some additional details from the artist that I’d like to add here, as this post seems to be getting a lot of attention.